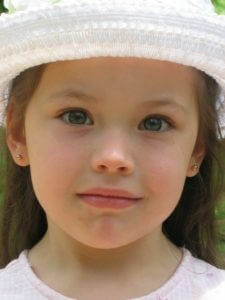 When my daughter was three, she came to me everyday asking certain questions or wanting something. As her father, I tried to discern her thoughts for wanting or to knowing something in order to help her make the best use of her life at this early age. She’s very important to me and I want to protect her from wrong information. Unfortunately, my answers were not always popular, and I sometimes make mistakes by presuming the wrong thing. As parents or friends it is not always easy thinking along the same line as others because each day we encounter different experiences. Different experiences bring about different thoughts that lead to different results. A rich man wrecks his car and decides to buy a new one while a poor man goes home wondering how he can come up with the money to pay to get his fixed. I do my best as her father, but unlike God, I cannot predict every outcome in her life. God however, who created you, knows you better than you know yourself. His Words are very powerful and that they possess the ability to pierce through any emotional, mental, physical, financial or spiritual need in your life. In fact, He knows you so well that He has already spoken into existence the provision you need for the many thoughts and questions in you now. Know this, He is the only one who knows you better than you know yourself. Today I challenge you to seek the Word of God and take hold of the power that can help you overcome any challenge you may be facing right now. He is the way maker!